The beautifully designed Animambo Metallophone by Djeco is brightly painted with a festive South American theme. 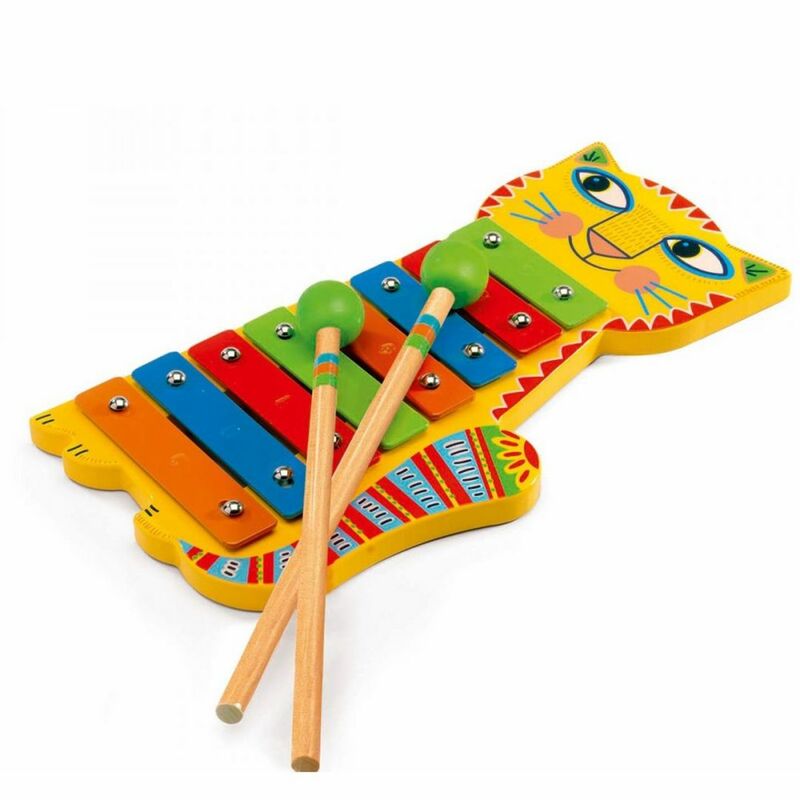 Designed to appeal to young children, this metal xylophone is painted in bright, vibrant colours with a cute cat design and includes two drumsticks. This first percussion instrument makes a lovely sound and is a great gift to develop a child’s love of music from a young age. Djeco partnered with famous music publisher Putumayo Kids and the packaging includes details of two well chosen songs to download and learn. The illustrations on the Djeco Animambo collection of musical instruments have a fun animal theme. Crocodiles, giraffes, tigers, llama, zebras, birds and butterflies all feature making this a lovely first musical toy to which you can add coordinating instruments over time.